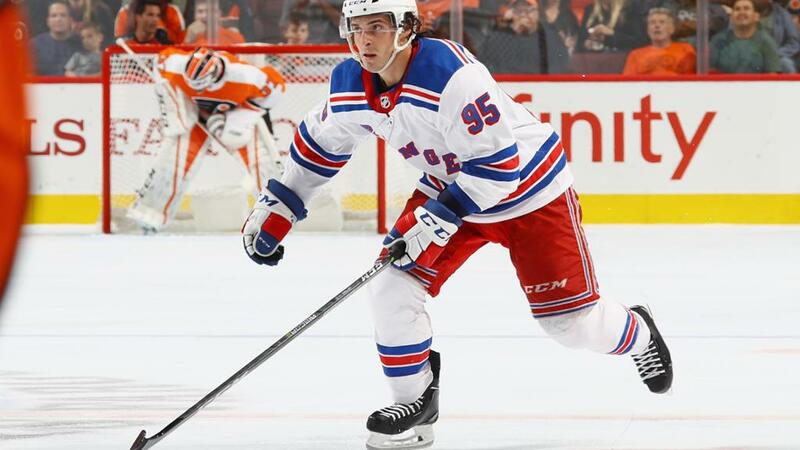 The Rangers have recalled forward Vinni Lettieri from the Hartford Wolf Pack. The Rangers were expected to make a call up following the Cody McLeod trade. This is Lettieri’s 300th call up, give or take. He has totaled 16 games with the Blueshirts this season, and has been held off the score sheet. In Hartford, Lettieri has a line of 12-15-27 in 29 games. "Rangers recall Vinni Lettieri", 2 out of 5 based on 3 ratings. Let’s see which Lettieri shows up this time, but was kind of hoping for a different call up — just to see something different. Why are you overreacting here? A person can be fine with the rebuild but just have a different viewpoint on certain players. ok so using your sentiments, why is my comment an over reaction? I don’t understand. What does a “year one rebuild people” have to do with anyone’s feelings about Lettieri — or any particular player? Virtually everyone here on the blog acknowledges that this is a rebuild and that all ills won’t be cured in one year, that said we all have opinions re: certain vets and certain “prospects”, some people here don’t believe that Lettieri has a future with this club (personally I’m not sure yet) … we even have differing opinions about how you go about rebuilding the Rangers, but that doesn’t necessarily indicate any displeasure with the pace of the rebuild. I am glad to see Lettieri get another crack in the bigs. He has been lighting up the board down on the farm and hopefully he can bring some of that offense to New York this time. Welcome back Vincenzo. May he fill the net often!